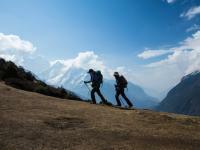 Win an Everest Base Camp Trek | Subscribe for your chance to win! If you love trekking and adventure holidays, then enter now to get directly to your inbox the latest adventure news, travel inspiration and helpful tips from the team at World Expeditions. Be the first to hear about deals, new trips or special events when you sign up – it could win you an unforgettable trek to the base of Mount Everest! 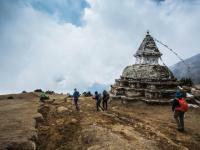 This trek to the base of the world's highest mountain will surpass expectations as you ascend in true expedition style, savouring the quintessential trekking experience with our guides, crew and porters. The emails you'll receive draw on over 40 years of adventure travel experience and bring you exciting upcoming events and tours, cutting edge destinations, leader profiles, as well as traveller experiences and the latest news in the world of adventure. You'll also be the first to hear about hot offers, unique and exclusive trips and guaranteed last-minute departures, so why not subscribe today to get ideas for your next adventure! The winner must travel on the 17-day Everest Base Camp & Kala Pattar trek with World Expeditions on a fixed departure between 1 October 2019 and 30 April 2020 to redeem the prize. The prize is land only, for one person, twin share. By subscribing to our e-newsletter you will be entered into the draw to Win an Everest Base Camp Trek and acknowledge and agree to comply with the competition's terms and conditions, found here. Entries close 5.00PM AEST on 31/07/2019. Authorised under NSW Permit No. LTPS /18/26684. ATOL Protected #4491.